Week five of NA LCS Spring starts today, with ten matches over the next two days! Week five of the NA LCS will be played on patch 5.3! 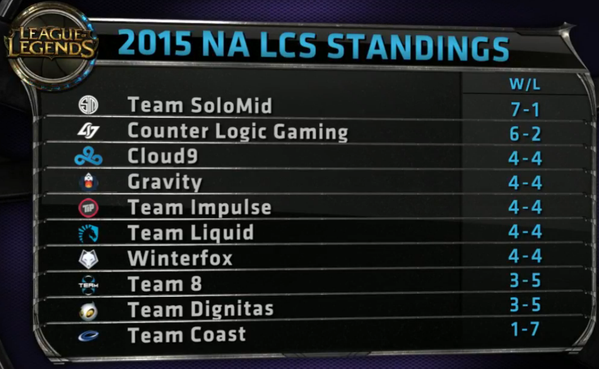 As we move in to week 5, TSM is leading with a 7-1 record while Coast brings up the rear with a 1-7 record.